Confirming your surgeon is certified by the American Board of Plastic Surgery serves as a warranty for the type of training your surgeon has received and the type of exams he/she needed to successfully pass, in order to receive that certification. Certification by the American Board of Plastic Surgery is a qualification not easily obtained, which demonstrates a high level of training and education, necessary for optimal results and patient satisfaction. 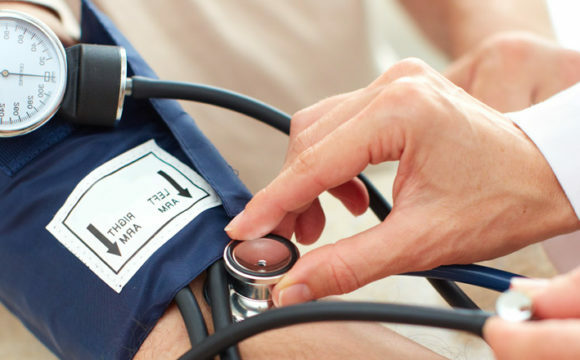 We believe that everyone is entitled to the best quality medical care. We strive to maintain state-of-the-art expertise in medical care. Your evaluation and treatment decisions will be performed solely by an experienced and Board Certified Surgeon. We provide the highest level of personalized care and follow strict standards to ensure your surgery will go smoothly. Welcome to the Executive Plastic and Hand Surgery Center. Our philosophy of care governs everything we do for you. It consists of the following key elements: We are truly caring about our patients and want you to feel very comfortable with our entire staff. Our double board certified surgeon recognizes that each patient is an individual and his goal is to provide you with exceptional personalized care. Specializing in Breast Implant Removal, Gynecomastia / male breast reduction surgery, Body Procedures, Scar Revision, Blepharoplasty and Facial Surgery procedures you can trust your care to our experienced and highly accredited staff. No matter if you are seeking a visit at our office or visiting our plastic surgery urgent care, our offices strives to stay on time and keep your waiting period as short as possible. We understand that your time is as important as ours. We pledge to be thorough in everything we do and provide our patients with compassionate patient-focused care. Please contact our office to schedule your consultation with Executive Plastic Surgery or visit our blog for more information. Dr. Shaher Khan visits WDIV’s Live In The D to discuss scar revision. Dr. Khan as ringside physician for professional boxer Anthony Sims Jr. 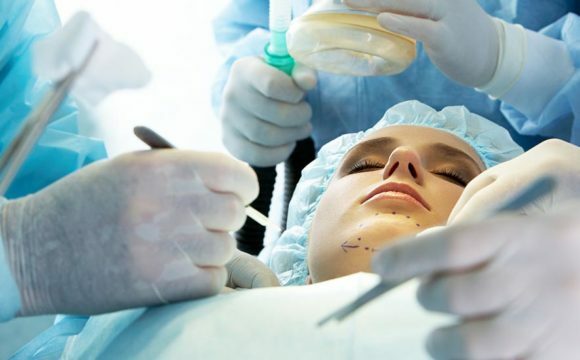 Plastic surgery is a special type of surgery that can involve both a person’s appearance and ability to function. Plastic surgeons strive to improve patients’ appearance and self confidence. 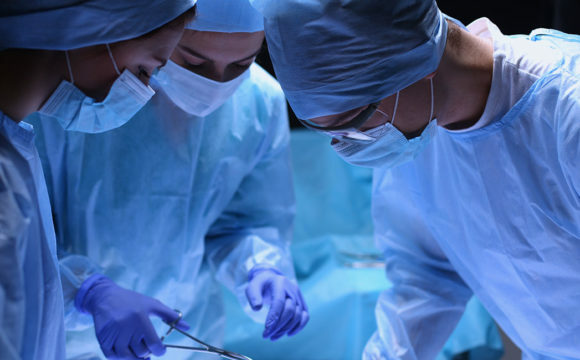 Dramatic advances have been made in recent years in treating patients with hand injuries, degenerative disorders, and birth defects of the hand. Dr. Khan is at the forefront of these advanced surgeries. Breast implants are not made to last a lifetime. Implants can experience leaks, capsular contractures, or rupture. Patients often want to remove their implants because of health risks or discomfort caused by them. 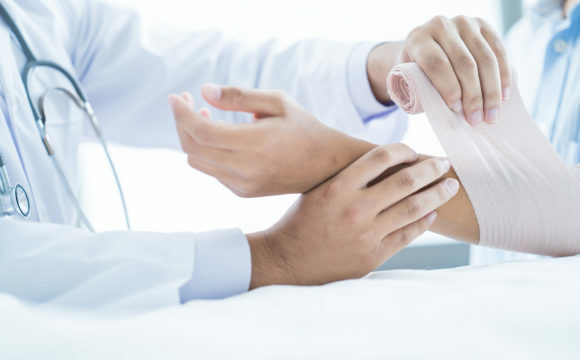 Plastic Surgery and Hand Injury Urgent Care is a brand new, innovative service now offered EXCLUSIVELY by our practice. Please click here to find out more. I first met Dr. Khan at Beaumont hospital after i crushed my hand at work. Thankfully, no surgery was required. Dr. Khan has a great bedside manner, told me what to expect, and treated me like family. He's very thorough and takes time to explain everything. Dr. Khan did a wonderful job! Dr. Khan performed surgery on my finger and forehead Tuesday 04/17/18. I was having pain in my index finger since October 2017. Surgery was performed perfectly. I did not experience any pain at all after surgery. I did not even require the use of any pain medicine. This DR is awesome, very professional and compassionate.His heart and soul is bound to the true description of what a Doctor is. On my hand surgery day after it was complete , he explained every thing while I was getting dressed. With out hesitation , he dropped to his knee to put my shoes on. We would highly recommend Dr. Khan and his staff. My husband was injured at work and we were directed to Dr. Khan. He operated on my husband that evening and was able to save his finger. After about 2 months of recovery, my husband was able to return back to work with full use of his finger. Dr. Khan saved my hand! 9/21/17 a mini van fell on my had destroying it! Dr. Khan wasted no time helping me and directing me to get my hand back! In only 3 months of what it looked like when it happened to today....12/20/17 people are amazed and so am I! I lacerated my left hand middle finger tendon and immediately Dr. Khan immediately scheduled me for surgery the next day. Recovery went amazing, fast and better than expected for each check up date. I would recommend him every time! best doctor I have ever been to. extremely thorough and knowledgeable. through surgery he has eased all pain in my hands and pinpointed problems that no other doctor has been able to do. He is very concerned about the patient's well-being and explains everything in detail. Dr. Khan removed an Ganglion cyst on my right wrist. Amazing job. From the first consultation till the last, Dr. Khan was very professional thru a entire process. Dr. Khan and his staff answer all my question and concerns I had. Dr.Khan did an amazing job he really showed me he cared. Amazing! I felt like he truly looked at me as an individual. I wish there were more stars because he is an exceptional doctor and human being. Dr. Khan is very patient, professional, and explains every thing he does. Very good patient interaction. I feel lucky that my PCP sent me to him. Dr. Khan is an excellent physician and plastic surgeon. He performed a successful reattachment surgery that other surgeons never would have even attempted. Dr. Khan is the ultimate professional; he was prompt, efficient, extremely knowledgeable, and personable, too. Very fortunate that we were referred to Dr. Khan. He was great! Very kind, gentle and compassionate. Took the time to explain the surgery and what to expect for recovery. He saved my finger tips. It is obvious that he is passionate about his work/art. Thank you Dr. Khan. You were wonderful. Dr. Khan is simply the BEST! Urgent appt was made right away & there was no wait time in the waiting room on my visits. He explained the injury, proper care, & the healing process. He's very informative and personable. I couldn't have asked for a better doctor. If your looking for a doctor who cares then look no further. Very thorough, smart and efficient. Respects your time and is committed to nothing less best 100% results. I consider myself so very lucky to be referred from the emergency room to Dr. Khan for treatment of severe dog bites and punctures to my hands and arms. He is brilliant in his profession and such a compassionate human being, he truly cares about his patients. Doctor Khan ia an excellent surgeon, terrific manner and all around great guy. He takes the time to explain the injury and what to expect thru the healing process. He is easy to talk to and take time to answer all questions you have. Betty B. in Riverview Mi. Dr. Khan was very thorough and found a problem that I did not know that I had. he encouraged me to read up about it, as I had never heard of it before. He did not recommend any unnecessary treatments. Dr. Khan is the on call hand specialist at Beaumont Southshore Hospital in Trenton. He took care of my 92 year old father after he fell and required 25 stitches to close the back of his hand. Dr. Khan is very caring, patient and explains what he is doing and why. I would highly recommend Dr. Khan. Doctor performed emergency surgery on my 16 yr. old daughter's severely injured finger with a wonderful outcome. He is very kind and caring,, explains procedures very thoroughly, takes his time with patient, encouraging, and professional. He is the kindest doctor, treats you with respect, explains everything he is going to do with great detail and answers all questions without hesitation. Very professional in his presentation upon meeting you and any follow up visits. Would recommend him to anyone. 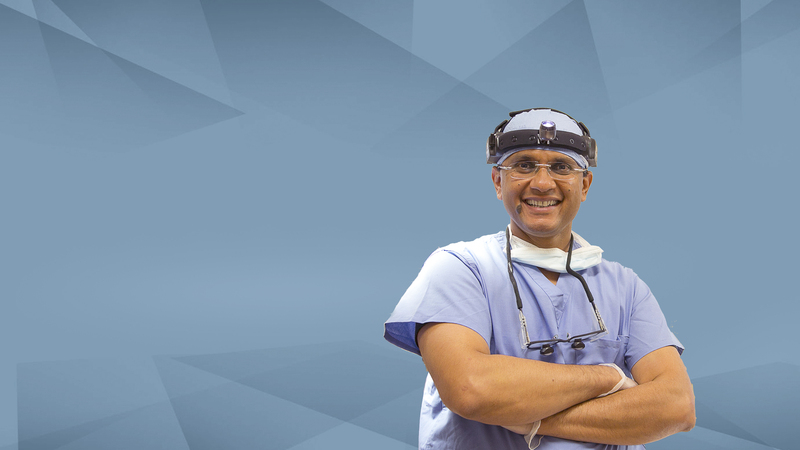 Dr. Khan is board certified in Plastic and Reconstructive Surgery as well as General Surgery. Can I receive help without insurance? Yes, payment plans are available. We have access to the private AAAASF certified Landmark Surgery Center at the office that will greatly reduce the out of pocket cost. I have a high deductible, can I pay out of pocket? Yes, cash payments are accepted. Payment plans are also available. We have access to the private AAAASF certified Landmark Surgery Center at the office that will greatly reduce the out of pocket cost. Do you treat breast implant disease? Yes. History and physical exam are critical and imaging is key. Depending on the specific complaints and concerns, this can be effectively managed to help with the quality of life. Can you revise a scar? Absolutely! Scars can be enhanced and camouflaged with the rest of the body. Scars take one year to settle. Revision can certainly be made to make aesthetically pleasing and blend in with the rest of the body. I am a male and I have female type breasts. Why did this happen? What can be done? Yes. A full work-up needs to be undertaken that includes medication review and hormonal assessment. History and physical exam are key. Lab work up is vital. Depending on the exam you may need liposuction and/or gland removal. I have a hand injury? I can not make a fist. What should I do? If you have a fracture you need an assessment right away. Bone heals in 4 to 6 weeks. A physical exam is key along with X-rays for urgent intervention that may not necessarily require surgery. If a tendon is lacerated you need surgery ASAP.